Well, tonight is my monthly club, and I decided that I couldn't decide on only one card to do, so I made two! I made a simple, easy valentine card, that has a bit of a "wow" factor to it because of the unique fold. This card fold is super simple... you just cut an 8 1/2 by 11 paper down to 4 1/4 x 11 (you can then make 2 cards with one piece of card stock). Then you score at 2 3/4 and 5 1/2. That's it! I used real red, pretty in pink, and basic grey. 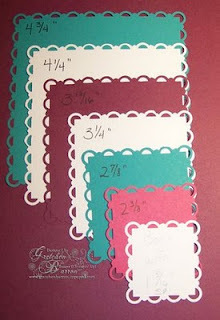 The designer series paper is Love Impressions from the new Occasions Mini... it's super fun! The stamp set is Filled with Love, which unfortunately retired yesterday. 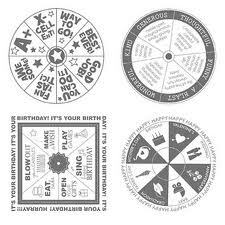 I bought this stamp set in clear, for only $25.95 (item #122015). The spinner hands are 4.95 for 12 sets... (item #121893). I think this is a great deal, for a simple, wow card! (thank you for the image, Gretchen Barron). I used the 3 1/4" square for this card.